My Bargain Basket: Olay: $20 rebate w/ $50 purchase! 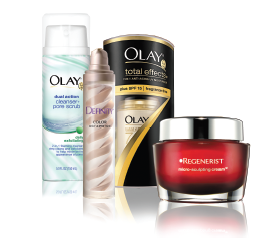 Print your $20 mail-in rebate form here for Olay. You purchase $50 worth of Olay Facial Moisturizers, Facial Treatments and/or Facial Cleansers and you will recieve a $20 rebate.